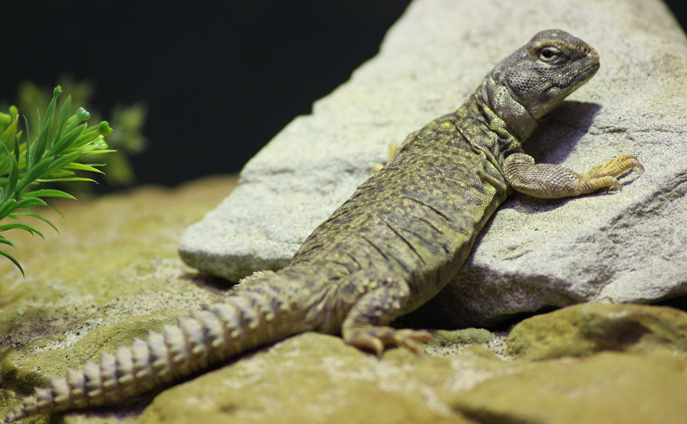 The name uromastyx comes from Ancient Greek and means ‘tail’ (ourá) ‘whip’ (mastigo). When threatened, Mali uromastyx lash their strong, spiny tail from side to side to defend themselves. When these lizards hatch, they are light tan in colour with some dark markings, which helps the juveniles hide from predators (camouflage). Adult Mali uromastyx are dark in colour, with bright yellow markings.